What a sweet little tree - and what satisfaction for you to be able to make curd to enjoy when the lemons are just a memory. 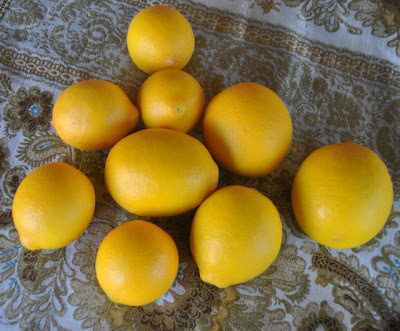 I have a Meyer lemon tree in my back yard, we planted it a bit over a year ago so we had some lemons last year, but each year as it grows we will get more! I didn't want to waste any of the juice and rind (zest) so I made lemon curd (love that with scones) and then juiced the rest and froze it in ice cube trays. I have a bag in the freezer full of the lemon ice cubes for when I need some for cooking! Some have zest included some not. I LOVE the flavor of a vine ripened Meyer lemon! 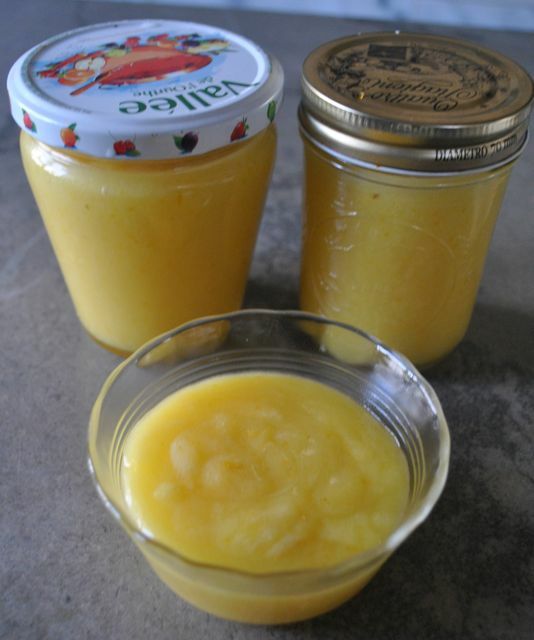 I am going to try your lemon curd recipe. I'm impressed you are getting lemons from what must be an indoor tree in your area! 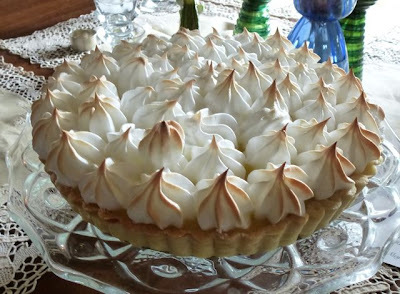 I adore lemon curd, and your meringue tart looks divine! I didn't know lemons could grow in cooler climates. This I need to explore. Lemon meringue pie. Pudding heaven! Lucky you, fresh lemons to make your own curd and a scrumptious looking pie. Just beautiful, Martha! Your guests must have been delighted! How delicious. Love the comment above! This was a wonderful harvest and that tart - amazing! Oh Martha, it starts with one tree. You'll have to see my post this week. Here is a heads up. Logee's Greenhouse in CT has citrus and plants to die for. 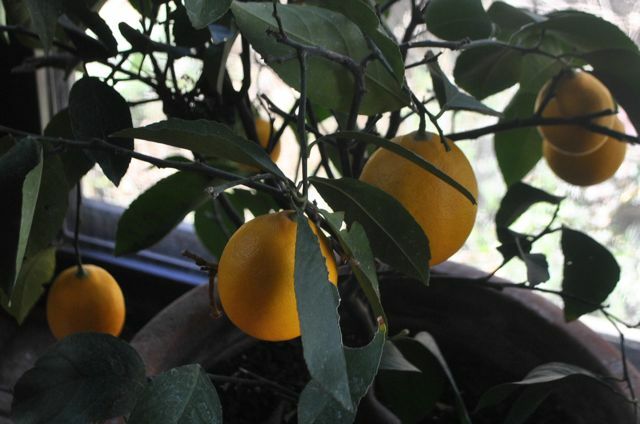 Last year I planted a Budda's Hand lemon, blood oranges and a vanilla bean orchid. Yes, those vanilla beans. I could go on and on, but you will have to have a look at Logee's website or catalog. Prices are good too; better than Williams Sonoma. What a great tree! How lucky for you to have it bloom in the midst of winter. Is your tree inside? It must be for I can't imagine anything blooming in Kansas this time of year! Both the tart and the curd sound delicious! The tart is a feast for the eyes!!! What a perfect way to end the meal...sweet & tart!!! Gosh Martha, I hope my lemon tree produces that many lemons. I had two this first year, but am hoping for more! !